Jill Lepore is one of the country’s most gifted history writers. She excels at finding untold stories and new archival tidbits. She’s prolific, virtuosic, and always fun to read. There was a time, back in college, when the only reason I would pick up a copy of the New Yorker was to check whether it contained a new Lepore essay. 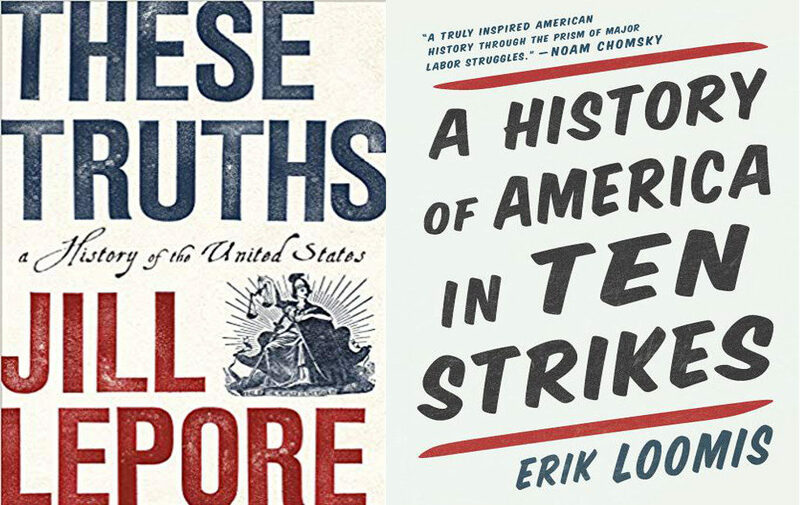 Whether writing about Charlie Chan, Taylorism, the Great Migration, or Wonder Woman, Lepore has showed, over and over, what it actually means to make history feel “alive” in prose. I was therefore delighted when I found out that Lepore had written an entire one-volume history of the United States. There could be no better tour guide. My problem with most histories is that they focus on big sweeping economic and political changes, macro trends rather than ordinary people. Lepore is the perfect antidote: She gets past the usual narrative and focuses on scraps and snippets. She weaves together history through the voices of those who actually lived it, through newspaper headlines, memoirs, advertisements, and ephemera. So when These Truths: A History of the United States showed up, I devoured it. But something began to feel odd. At first, I couldn’t figure out what it was. Lepore writes with her usual verve, apart from a few tortured metaphors (e.g., the ending about the “ship of state”: “On deck, conservatives had pulled up the ship’s planking to make bonfires of rage: they had courted the popular will by demolishing the idea of truth itself, smashing the ship’s very mast. It would fall to a new generation of Americans… to fathom the depths of the doom-black sea… they would need to fell the most majestic pine in a deer-haunted forest and raise a new mast that could pierce the clouded sky.” Are the deer supposed to be… pundits?) She pays special attention to the lives of women and African Americans, telling us about Jane Franklin as well as Benjamin, Harry Washington as well as George. She digs up marvelous quotes. Cotton Mather fumes at James Franklin: “The Plain Design Of Your Paper Is To Banter and Abuse The Ministers of God.” Abigail Adams writes to her husband: “I desire you would Remember the Ladies, and be more generous and favourable to them than your ancestors. Do not put such unlimited power into the hands of the Husbands. Remember all Men would be tyrants if they could.” An insufferable John writes back: “I cannot but laugh… we know better than to repeal our Masculine systems.” These Truths is Lepore’s effort to create a fair and representative history, one in which voices like that of Maria Stewart and Alice Paul are given the platform they deserve. And yet: Diverse and kaleidsocopic as the book was, it seemed to be missing something critical. I got up to about 1980 (page 668) before I realized what it was: the labor movement. The history of American labor is almost completely absent from the book. Lepore’s history is full of racial and gender diversity. But it doesn’t include much about workers or their struggles. Yet the history of American labor activism and economic radicalism is just… gone. That’s true even in when it comes to women’s history: In the index there’s no Mother Jones, no Emma Goldman, no Rose Schneiderman, no Mary Anderson, no Lucy Parsons, no Margaret Dreier Robins, no Elizabeth Gurley Flynn, not even Helen Keller! Alright, maybe they were all deemed “second-tier” and reluctantly left on the scrap heap. That might be a plausible excuse, except that the book does contain references to Jean Stapleton from All In The Family, Ann Coulter, and page after page about Phyllis Schafly. You cannot possibly tell me that a 21st century American ought to know more about Ann Coulter than Helen Keller. Lepore has some particular areas of personal interest that get disproportionate attention, such as the development of public opinion polling, the rise of the modern conservative movement, 20th century mass media, the ’70s tussle over the ERA, and the professionalized political campaign apparatus. A relatively obscure individual named Leone Baxter, whose mercenary public relations work is said to have revolutionized contemporary politics, is mentioned on pages 448, 449, 450, 451-52, 456, 478, 532-34, 533, 546-48, 553-54, 560, 561, 572, and 704. That’s fine in and of itself; it’s the privilege of every historian to highlight the individual stories they find especially illustrative. It’s less defensible when the American Indian Movement gets a single sentence, major Indian massacres are ignored, and the Lincoln administration’s deportation of the Navajo is passed over. Or when the Black Panthers are written about solely for toting shotguns and terrifying legislators, instead of providing free breakfasts to poor children. In fact, for all the book’s inclusiveness, its Black history is pitifully weak. There’s a lot about slavery, Frederick Douglass, Martin Luther King, etc. But the index is missing entries for: Ralph Abernathy, Emmett Till, Medgar Evers, Myrlie Evers-Williams, Fred Hampton, Booker T. Washington, Marcus Garvey, Paul Robeson, Hubert Harrison, Angela Davis, Sojourner Truth, the Tulsa massacre, and the Scottsboto Boys. James Weldon Johnson is quoted to condemn Woodrow Wilson, but without any explanation as to who he was or what he did. The Harlem Renaissance gets mentioned once, offhandedly. Ella Baker is described as an independent-minded activist who co-founded SNCC, but this only begins to touch on her extraordinary career. There’s Poor Richard’s Almanack but no Poor People’s Campaign. You’ll hear that Martin Luther King was assassinated in Memphis, but you won’t hear what he was doing there. Again, excluding important parts of history from any history book is inevitable. But that is different from deleting the entire history of working class struggle, Native activism, socialist feminism, and black radicalism, and then calling that book “what Americans need to know.” I have no problem with a historian who wants to talk about how Phyllis Schafly and FOX News changed American political discourse. 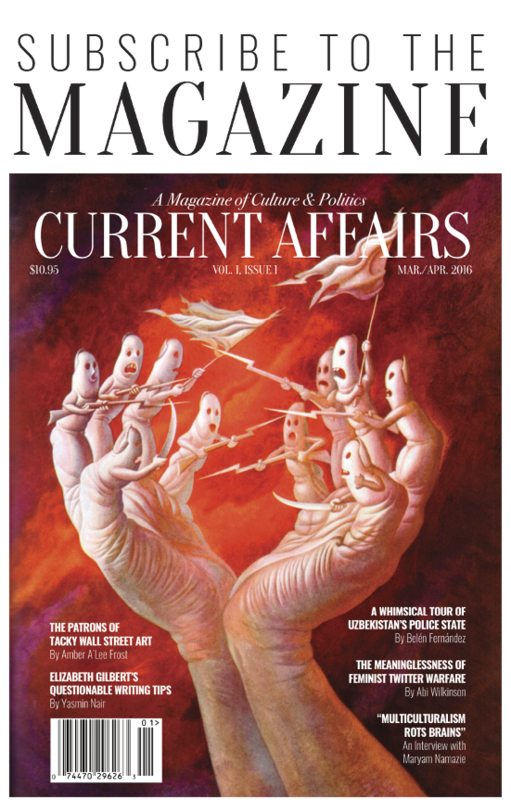 But if they’re going to claim to be writing about about the core “truths” of the country’s history, the occupation of Haiti, the annexation of Hawai’i, the execution of the Rosenbergs, and the lynching of Leo Frank need to get at least as much attention as Walter Lippmann’s columns or Orson Welles’ War of the Worlds broadcast. Reading These Truths, I kept trying to figure out why Lepore was going so wrong. She’s a brilliant and well-read person who knows everything there is to know about American history. How could she just miss so many critical parts of it? The only answer I could come up with, and I know it’s a simplistic and predictable one, is “liberalism.” I have previously written that one difference between the “liberal” and the “leftist” is that the liberal says something like “America is a great nation that does not always live up to its values” while the leftist says “Nations are an incoherent and dangerous concept.” Lepore says it is her intention to write a history of America that celebrates its “ideas” and overcomes the “divisions” that have caused us to forget those ideas: “The United States is founded on a set of ideas, but Americans have become so divided that they no longer agree, if they ever did, about what those ideas are, or were.” The country, she says, “rests on a dedication to equality, which is chiefly a moral idea, rooted in Christianity, but it rests, too, on a dedication to inquiry, fearless and unflinching.” American history gets told, then, as the history of a complicated country that is built on ideals but often betrays them. It is a land of complication and paradox, where excluded groups are constantly pushing the country to live up to its promise. We can see, in this conception of America, why labor history gets downplayed. The history of a “contest of ideas” is not a history of power struggle. It is not the history of exploitation, and Lepore has written of Howard Zinn’s view of history that while it may be a useful eye-opener when you’re 14, since “instead of lionizing Andrew Jackson, he mourned the Cherokee” ultimately “the problem is that, analytically, upending isn’t an advance; it’s more of the same, only upside-down.” Personally, I find that strange: Since Andrew Jackson massacred and deported large numbers of Indians, I am not sure why it’s “the same” to mourn his victims as it is to celebrate their murderer. But Lepore wants a good liberal sense of balance: Like the New York Times op-ed page, she includes the “full range” of opinions from hard-right conservatives to progressive social reformers. She laments racism and sexism and exclusion, but she is still a Harvard professor, and sees the world accordingly. Middle-class suffragettes and civil rights activists are an important part of history, then, but miners, janitors, longshoremen, and weavers are in the background. “Politics” is not about what happens in ordinary people’s workplaces, but about what the government does, and so Eleanor Roosevelt and Thurgood Marshall are significant while Jessie de la Cruz, Hattie Canty, and Luisa Moreno are not. Most of us are not wealthy and will never be wealthy. We are workers, laboring for a few rich and powerful people, mostly white men who are the sons and grandsons of other rich white men. We have a hierarchical society that has used propaganda to get Americans to believe everyone is equal. We are not equal. The law routinely favors the rich, the white, and the male. Loomis uses his 10 significant labor strikes to tell the history of the country, not because he believes labor history is all there is, but because “we don’t teach class conflict in our public schools” and “textbooks have little material about workers,” leading to the “erasure of workers’ lives from our collective sense of ourselves.” This means that most histories actually ignore the experiences of the majority of the people who have ever been alive! Loomis’ take may seem radical, “politicized,” but nothing could confirm it better than a read of Lepore’s book. He’s right: The standard narrative, the enlightened liberal narrative of Harvard and the New Yorker, erases worker struggles. The anthracite strike, the Lordstown strike, Justice for Janitors: Loomis asks us to remember that these are as important to American history as anything else, and when we overlook them we commit a “political act,” by adopting a propagandistic view of history that serves the interests of the rich at the expense of the poor. If workers are not taught about the way their predecessors fought back against exploitation, if they do not see how the same tactics have been wielded again and again to keep the working class from claiming its deserved share of the economic pie, then they are more likely to hopelessly resign themselves to an unjust contemporary reality. Loomis reminds readers that for the majority of Americans, American history has been a history of very hard work, under trying conditions. People lived short and difficult lives, and when they complained they were fired, threatened, or even shot. Loomis describes the horrendous working conditions that people experienced, such as a hop farm in the West where workers lived outdoors on pallets, and 2,800 people shared eight toilets in 105-degree heat. There were company towns, where nearly all of a worker’s paycheck would be gobbled up to pay rent and board back to his or her employer, and any attempt to organize with fellow workers would lead to instant termination and eviction. People’s bodies were destroyed, their lives cut short, in factories and mines. Workers burned to death or froze to death, they were mangled, their lives then ruined as their income disappeared. Law conspired against them by telling them they had “assumed the risk” by taking a dangerous job and their employer could not be held liable for negligence. They would travel across the country, their children dying along the way, in search of work, only to be exploited and abused when they finally found employment. When we consider the actual circumstances people have lived in, it becomes absurd to think of the American story as being about “ideas” or equality in any sense. It is mostly about hard lives lived by tough people: Black Americans building their communities only to see them burned down, Native Americans being driven off their forefathers’ land, Chinese Americans toiling in the heat, European Americans buried in mines, women struggling to balance motherhood and work, and Americans of all colors and genders laboring in factories and on farms. This does not mean that all of history is one bleak tale of oppression and woe. But it does mean that “liberal” history, with its emphasis on grand debates, policy triumphs, famous reformers, and broad social trends, misses the major part of reality. You will learn more about the country you actually live in by watching Norma Rae, talking to an agricultural worker about their life, or listening to “The Class of ‘57” than by reading These Truths. I do not mean to be too hard on Lepore. At various points in her book, she pays stirring tribute to the lives of ordinary people, and she includes many of the neglected figures who have long been kept out of mainstream histories. I do not think she would disagree with what I have said about people’s lives, and I think when she realizes it, she may sincerely regret having focused so much on Alex Jones and George Gilder at the expense of Emma Goldman and Fannie Lou Hamer. But I think it’s telling, and disturbing, that such a sensitive and intelligent historian can so easily overlook so many important truths. It shows us why radical history is important: The natural trend is toward the disappearance of the poor and vulnerable, and it’s the task of the historian to make sure that which most needs remembering doesn’t accidentally (or intentionally) drift into oblivion.